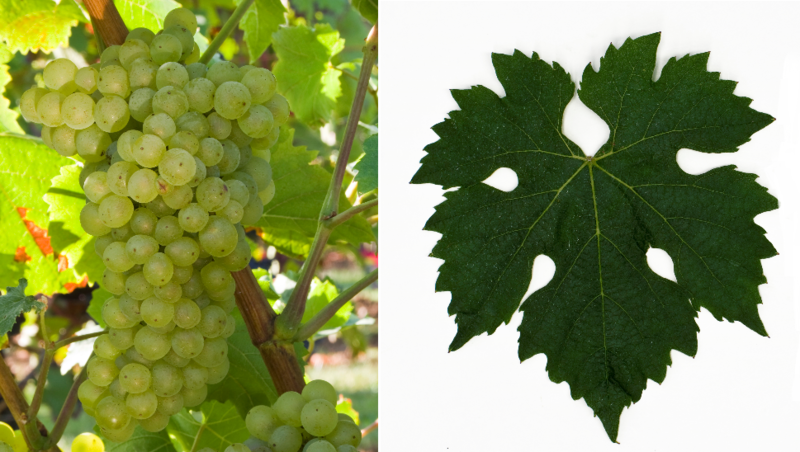 The white grape variety (also Faber, Alzey p. 10375) is a new breed between Chardonnay x Müller-Thurgau according to published in 2012 DNA analysis, The maternity of Pinot Blanc (Pinot Blanc) indicated in the breeding list turned out to be wrong. The crossing took place in 1929 by the breeder Georg Shy (1879-1949) at the State Institute for Vine Breeding in Alzey (Rhineland-Palatinate). The variety protection was awarded in 1967. The early-ripening, high yielding vine yields golden yellow wines with pronounced acidity and subtle nutmeg, In 2008, some wineries launched an initiative "Relaunch F" to give the increasingly forgotten Faberrebe a new image and to revive it. The variety is almost exclusively in Germany grown on 551 hectares of vineyards with a strong falling trend. A small acreage is also available in England (4 ha). In 2010, a total of 555 hectares was reported (Statistics Kym Anderson ). This page was last modified at 28 December 2018 at 16:33.